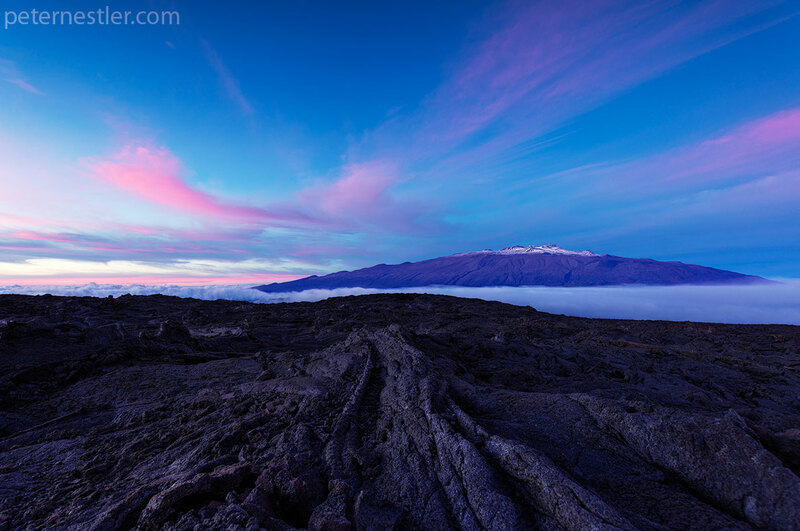 I had a beautiful sunset occur over Mauna Kea on the big island of Hawaii. I was shooting over the lava fields on Mauna Loa and a cloud layer blew in between the mountains. It is one of my favorite sunset pictures I’ve taken.